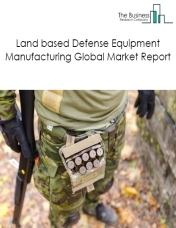 Dynamics of the global aerospace and defense industry in the recent years has shown a high need for global companies to build relationships with defense agencies due to the rise of financial funding from the government in the defense sector. 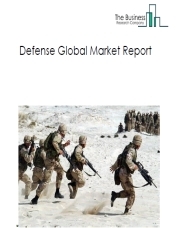 In 2018 the USA defense budgets were expanded, while the European Ministers of Defense started joining together as a bloc to increase investments in military equipment in the European Union . 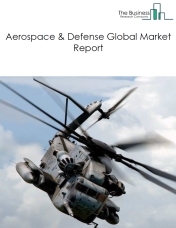 The Business Research Company expects the revenues of the aerospace and defense industry to grow to $1 trillion by 2022. 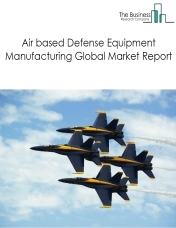 The aerospace and defense manufacturing market consists of sales of commercial aircraft, aircraft components and auxiliary equipment, as well as air, sea and land based defense equipment such as weapons, artillery tanks, radars, other military equipment, and support services such aircraft maintenance, repair, overhauling, and support services by entities (organizations, sole traders or partnerships) that manufacture aircraft, aircraft components, weapons, artillery tanks, radars and other equipment for aerospace and defense purposes. 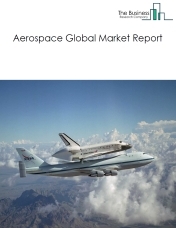 The aerospace market consists of sales of commercial aircraft, auxiliary equipment, aerospace equipment and aircraft maintenance, repair and overhauling services, manufacture support by entities (organizations, sole traders and partnerships) that manufacture commercial aircraft, undertake aircraft maintenance, repair and overhauling services, manufacture support and auxiliary equipment, such as radar, air traffic control towers and satellites, or manufacture sea-based defense equipment. 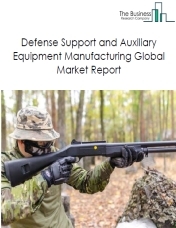 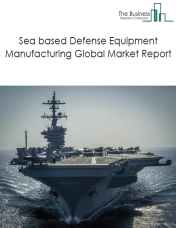 The defense market consists of sales of air-based, sea-based and land-based military equipment by entities (organizations, sole traders and partnerships) that manufacture air-based, sea-based and land-based military equipment including support and auxiliary equipment such as radar, satellites, sonars and other auxiliary equipment or maintain, repair and overhaul defense equipment. 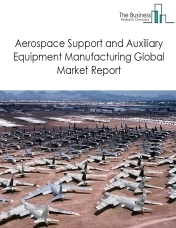 The aerospace and defence manufacturing market consists of sales of aircraft, aircraft components, weapons, artillery tanks, radar and other military equipment by entities (organizations, sole traders or partnerships) that produce aircraft, aircraft components, weapons, artillery tanks, radar and other military equipment for aerospace and defence purposes.